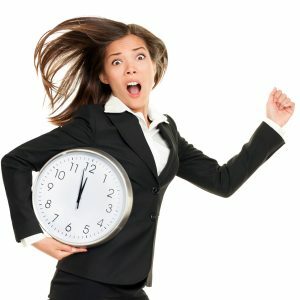 Given her ADHD, time management challenges are almost always assured. She wanted a “plug-and-play” strategy, because she assumed that there was a structure already out there that I could impart to her for quick results. “What is your recipe?” I inquired. “Uh… what are you talking about?” she responded. Although my question threw her for a loop, she couldn’t deny the evidence. If she is habitually 10 minutes late, there must be some type of recipe, script, or underlying structure that enabled her to always be exactly 10 minutes late. The funny thing about coaching is that, when you’re truly inquisitive, you unearth things that are amazing. As I questioned her to discover her method, we began to realize that she didn’t like to be bored! If she arrived 10 minutes late to a meeting, she got right into the work. Whereas, if she showed up on time, there’s a certain amount of just nothingness going on, which she finds boring. What is her Aha!? She actually didn’t have a time management problem. In fact, her system was working flawlessly. To avoid being bored, she’d show up late. In the end, it’s best to understand the underlying issues and manage around it. No matter what type of system, calendar, or alarm is used, it will not work for the individual who just wants to avoid being bored. If this resonates with you, have you ever paused and watched yourself to ask why you are always late? Let’s work together to learn what your legitimate reason is and why all the alerts, calendars, and reminders aren’t working. We’ll excavate your Aha! so you can better understand your own underlying time management system.